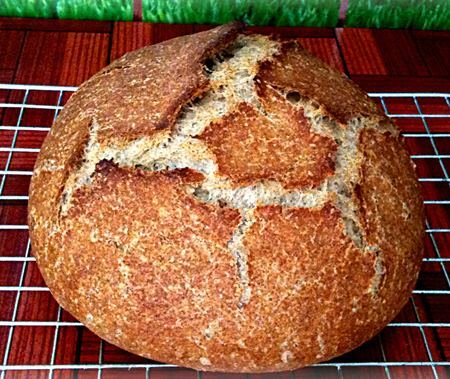 The wonderful rye bread from Chiang Mai Bread is a masterpiece of bready perfection. Chiang Mai Bread is owned by local baker, Noo, who started her business last year, supplying bread to restaurants, friends, and neighbours, plus selling her products through her local school. When she decided to take her business to Facebook, in order to target the private market, business really started booming. This year, Noo’s bread has been so successful that she has extended her line, and now offers delicious home-made products to go with her bread; peanut butter (with no added salt or sugar), hummus (with plenty of garlic – yum! 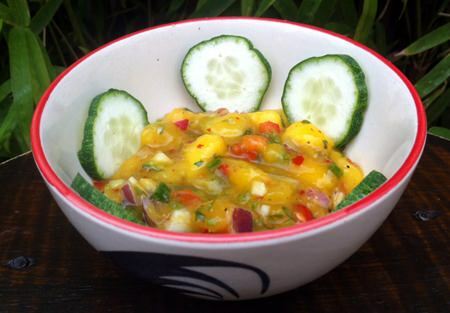 ), and more recently, a seasonal mango salsa (which I have yet to try). Another recent innovation is that Noo now makes all of her products 100% vegan. It goes without saying that she only uses natural ingredients too. The mango salsa is a delight. It’s no secret that for most Westerners in Chiang Mai, Thai bread leaves a lot to be desired; like a lot of baked goods here, the bread seems to be made from nothing but air and sugar, all held together with a goodly dose of fun! I first came to live here in 2012, and I still cannot get my head around the sweetness of the bread. I bought some rolls the other day - they looked innocent enough; however, they turned out to be closer to currant buns (sans currants) than bread rolls… which might have been okay, had I not filled them with tuna and mayonnaise. No such issues with Noo’s breads though; whether it’s her baguettes (white and wholemeal), rye bread, or wholewheat loaves, each one is a masterpiece of bready perfection. She offers free delivery within the city limits too (I live on Nimmanhaemin - delivery here is not a problem), and if you are very lucky, your bread will still be warm from the oven when it arrives. In fact, my first delivery not only contained oven-fresh bread but my hummus had also only just been made. That’s what I call fresh! Noo’s peanut butter is utterly delicious too, with a deep, rich, almost smoky flavour. As well as having it on toast, and in peanut butter and jam sandwiches (be still, my rumbling tummy! ), it’s great to cook with, especially in curries. And satays too, of course. Prices range from ?20 for a baguette, up to ?80 for a large rye boule, with the other loaves falling between the two. Hummus comes in three sizes, which are priced between ?70-?250 (sizes 125g-1kg), and peanut butter is ?50 for a 180g jar. The mango salsa is ?150 for 250g.